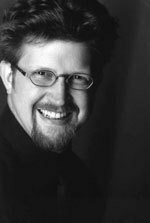 Iain Grandage composes, conducts and performs. He has received the prestigious Sidney Myer Performing Arts Award, and the Ian Potter Emerging Composer Fellowship, and been composer-in-residence with the Western Australian Symphony Orchestra, and musician-in-residence at the UWA School of Music, where he is currently an Honorary Research Fellow. Iain's concert works have been performed by the Australian Chamber Orchestra, the Brodsky Quartet, the Australian String Quartet, Australian Brass Quintet, Jean-Yves Thibaudet, Sara Macliver, Craig Ogden and choirs and orchestras around Australia. Recent highlights include the Victorian Opera production, in 2014, of his opera The Riders, based on the Tim Winton novel with libretto by Alison Croggon. The Riders was described by Michael Shmith (The Age ), as '…an opera of rare dramatic power, utmost musicality and first-rate performances' and by Peter Burch (The Australian) '.. a bewitching jewel of contemporary music theatre'. Peter Rose of the Australian Book Review wrote, 'The real star of the night was Grandage's radiant new score'. His compositions for the theatre include Helpmann Award-winning scores for Cloudstreet, The Secret River, When Time Stops and (in collaboration with Kate Miller-Heidke) The Rabbits, and the and Green Room Award-winning scores for The Riders, Lawn, In the Next Room, Babes in the Wood, The Odyssey and The Blue Room for theatre companies including Belvoir, Black Swan, Malthouse, MTC and STC. As music director, he has won Helpmann Awards for his work with Meow Meow on the Malthouse/Sydney Festival production Little Match Girl, and with the cast on Sydney Theatre Company's The Secret River. He won Green Room Awards for his work with ANAM and Meow on Wunderschon, and with Meow and Malthouse on Vamp. He has conducted orchestras for Gurrumul and Tim Minchin and led a revival of Shane Warne The Musical for the 2013 Adelaide Cabaret Festival. Most recently, he was music director and arranger for Opera Australia's critically lauded new opera The Rabbits by Kate Miller-Heidke and Lally Katz. Iain has worked as musical supervisor and arranger for the Black Arm Band on their award-winning performances Hidden Republic, dirtsong and Seven Songs­; and collaborated with Steve Pigram, Mark Atkins and Richard Tognetti on the ACO's multimedia presentation The Reef. He was music director and arranger for Eddie Perfect's Songs from the Middle with the Brodsky Quartet and ANAM, broadcast on ABC in 2011. Future work includes commissions from the Melbourne Symphony Orchestra, Katie Noonan with the Brodsky String Quartet, and collaborations with Kate Miller-Heidke and Tim Minchin. Night after bushfire (soprano with string quartet) Commissioned by Katie Noonan. Suspended : orchestra Commissioned by HUSH Music Foundation. Dances with devils : Concerto for percussion and orchestra (2015) Commissioned by Tasmanian Symphony Orchestra, Melbourne Symphony Orchestra. Kit: Wheatbelt : music study guide / music by Iain Grandage ; study guide by Lorraine Milne.